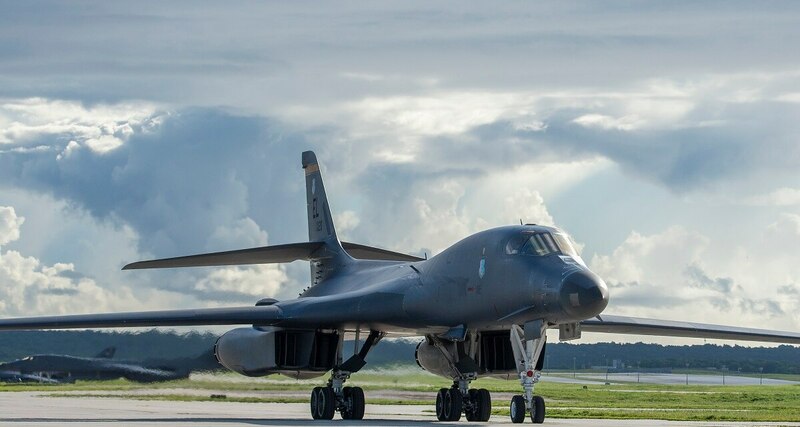 A Texas-based B-1B Lancer made an emergency landing Tuesday afternoon following an in-flight emergency. The bomber was assigned to Dyess Air Force Base, Texas, but was forced to make a landing at 1:30 p.m. at Midland International Air & Space Port, which is located between the cities of Midland and Odessa, Texas. Midland International is roughly 150 miles southwest of Dyess Air Force Base. Emergency responders were able to make it to the scene before the bomber landed. The four crew members on board were not injured, according to a Dyess Air Force Base public affairs official. There weren't any munitions on the aircraft, which will remain at Midland airport “until it can be safely returned to Dyess AFB,” according to a press release. In the interim, base personnel will be responsible for the safety and security of the bomber, according to the release. Although the aircraft’s unit was not disclosed, Dyess Air Force Base is home to the 7th Bomb Wing and the 28th and 9th Bomb Squadrons. The B-1B Lancer is a long-range, supersonic conventional bomber. They have been flown by the U.S. Air Force since 1985, according to Boeing, which produces the aircraft. “The aircraft is on track to continue flying, at current demanding operations tempo, out to 2040 and beyond, and Boeing partners with the Air Force to keep the B-1 mission ready,” Boeing’s website reads.